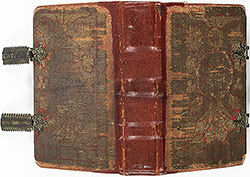 This manuscript has been dated to ca. 1470. 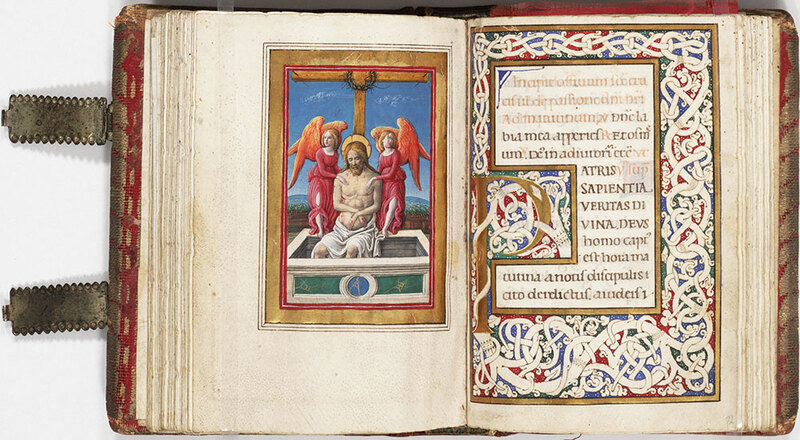 Notes: This miniature by the Sienese artist Liberale da Verona (1445-1527/29) begins the Office of the Cross. 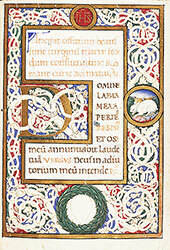 The beautiful white vine scroll decoration in the border on the facing page is a common type of decoration found in Italian Renaissance manuscripts from the fifteenth century.